Zanzana prepares all her desserts at home, as she has stopped since a while to buy industrial bakery. She mostly works on raw materials, so she feels very happy, the few times she goes to the supermarket, seeing that most of the products other people buy are missing from her trolley! She really likes chocolate cakes, especially those ones remaining wet and soft inside, after having been cooked. She modestly got inspired by the Mudcake you can taste at Espresso House, Sweden, but she chose a more Italian and, probaly lighter, version. This is Torta Tenerina (meaning something like soft tiny cake), a recipe coming originally from Ferrara, in Northern Eastern Italy. It also happens to Zanzana to have some roots there, as in other Italian regions, but no contacts anymore. She has read the recipe first on this book, but the version you can find here is based on her preferences and experience. 3 spoons of buttermilk (this is not sold in Italy, so you have to prepare it if you live there, while it is easier to find it in other countries). Melt butter and chocolate in a bain-marie and leave it cooling down. Whisk sugar and egg yolks in order to obtain a light and smooth mixture, add the potato flour and mix everything. Whip the egg whites, add the chocolate and butter to the egg mixture and mix well, together with the buttermilk, then add the whipped egg whites, mixing gently. Warm up the oven at 180 degrees, prepare the baking tin and leave the cake cooking for around 20 minutes. The cake is ready when it tears away from the baking tin, still being soft. 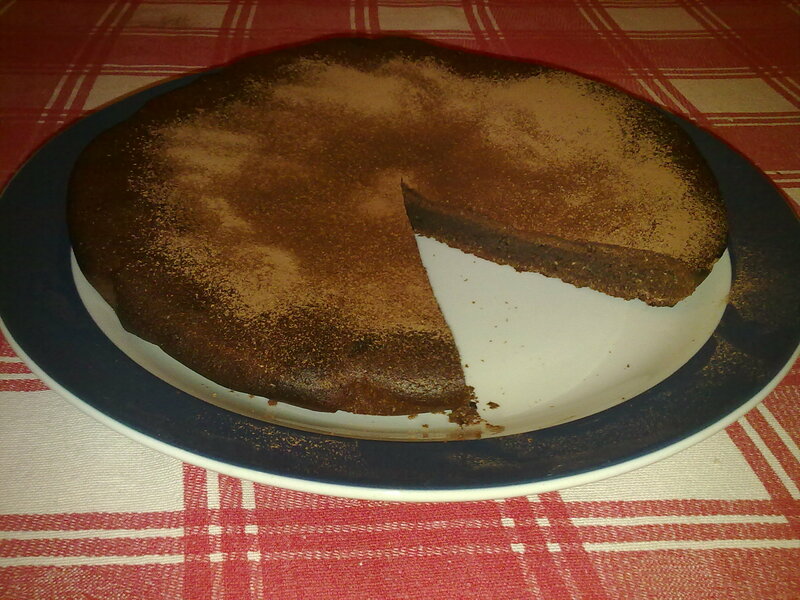 Normally this cake should be sprinkled with powdered sugar and whipped cream, but Zanzana prefers powder cocoa instead, with no sugar, as it makes it more fragrant when you eat it and have your Latte at the same time.